It’s true what they say: when you leave St Tropez, you will feel the cold wherever you are going! All those stricken with wanderlust should experience the magic that is the warm, sunny haven at the heart of the French Riviera. Nestled in a spectacular spot on the Mediterranean coast, St Tropez has given the term “Jet-setting” a whole new dimension. Whether you plan on cruising alongside the ocean, shopping at your favourite luxury designer boutique, or enjoying a gourmet dinner at sunset, luxury car rental in St Tropez offers the best means with which to explore the land of Brigitte Bardot, silk sarongs, and pink rosé. For a spectacular and unforgettable drive along the picturesque coastline of the French Riviera, one should rent a luxury car at Nice’s Airport before commencing their journey. For ultimate style and comfort, hiring a Porsche 911 Carrera S Cabriolet and cruising along the roads of Nice a la Cary Grant in the 1955 classic To Catch a Thief is highly recommended! Once in the town of St Tropez, there is an endless selection of indulgent things to do. You could begin your weekend by heading straight to Pampelonne Beach. With its white sands and turquoise waters, Pampelonne Beach is a pristine 5km stretch of pure extravagance. One can sit back and lounge on the shore while watching the yachts set against the clear Mediterranean skies. You could then grab some lunch at Club 55 – one of the most iconic beach clubs in the town, made famous by Brigitte Bardot in And God Created Woman. Supermodels and other members of the social elite frequent the place. Characterised by a laid-back, chic décor and tamarisk trees; Club 55 is famous for its simple, but elegantly created and presented food. Don’t forget to make a reservation well in advance – this place is in high demand! Don’t leave St Tropez without sinking your teeth into its showstopper dessert - the decadent Tropézienne Tart - a light brioche, which is filled with cream. St Tropez has a vibrant nightlife and enjoys the cool vibes of many well-known nightclubs like Les Caves du Roy - famous for its fusion of the Oriental and the Mediterranean - and the VIP room, famed for its electric atmosphere. A short distance away is the medieval village of Grimaud, which is surrounded by the foothills of the Massif des Maures and forests of oak and chestnut trees. Overlooking St Tropez’s bay, this is a must-visit location that encapsulates the essence of Provence with its narrow roads, lively rustic cafes, and pastel-coloured houses. The timeless Range Rover Evoque convertible is an excellent fun, fashionable car to enjoy this route. Drop the roof and enjoy the view of the entire bay, which includes the church of Saint François and the Windmill. You can stop for lunch at the charming Cafe de France – famous for its snails and oysters – or enjoy dinner at the lavish Les Santons. This Michelin-starred restaurant is celebrated for its provincial culinary creations and the interweaving of classic and modern cuisines, in addition to its rustic ambience. When it comes to shopping, there’s little that you won’t find in St Tropez. For the authentic Tropezian experience, you could skip into the luxury house of Atelier Rondini, which celebrates its 90th birthday this year, and pick up a pair of hand-made sandals. You can find the world-famous Dior in a garden-like setting and Louis Vuitton – whose interior is customised with intricate maritime details to match the cultural theme of the store’s location. You can also step into Maison Michel for their sun hats and beach accessories, and their exclusive "Panama Saint-Tropez" line. The list would not be complete without mentioning Titamàlà jewellery and KIWI contemporary beach wear. The town is brimming with art galleries and antique stores for those who have a penchant for fine luxuries. One must visit the Place des Lices for the authentic open market feel and for organic produce, such as olive oil, soap and even linen! 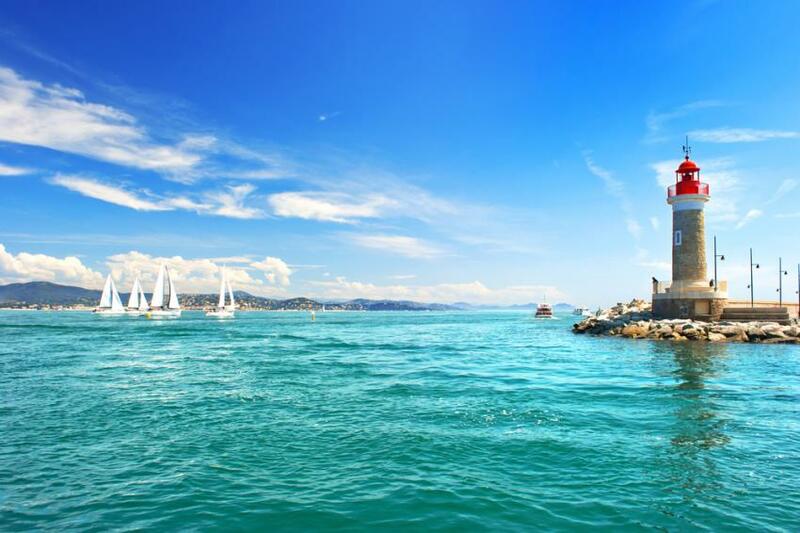 Each year, St Tropez becomes a whole lot more festive for the annual sailing regatta – the Voiles de St Tropez, which offers visitors a memorable experience. The waterfront is filled with sailors, yacht owners, spectators and photographers, while the horizon is beautifully speckled with flamboyant yachts, some of which are a century old! These yachts, old and new, compete in a series of gripping races, their sails billowing in the first winds of autumn. The race leaves the Bay of St Tropez and heads towards Cannes. The yachts leave the Port of St Tropez at 10:00am or 11:00am each day, and return around 3:00pm. The event is best viewed from the sea, yet the views from the dyke that juts from the Old Port of St Tropez are equally as stunning. This is not just a regatta, but also a visual spectacle that is worth witnessing. All in all, St Tropez is where the sun seems to shine brighter and the water seems to gleam bluer! A visit to this avant-garde paradise is one that will be cherished for many days to come. The beauty of the region’s scenic roads, which should be experienced from a luxurious vehicle, only enhances the experience. Choose from a selection of luxury cars including Porsche 991 Carrera S Convertible and Mercedes S 500 Cabriolet. Contact Luxury & Services if you’d like further information about our luxury car rentals in St Tropez.